Dawn was breaking as the group approached Phandalin from the south. They saw the glow of the torches of the two guards at the opening in the old stone wall. Thoughts of a warm room at the inn and how nice it would be to sleep were quickly displaced by the awareness that there was no gate to close off the entrance, not to mention the many openings in the wall. The guards were startled by their approach, which they did not even notice until the Lost Minds were 20 feet away. Both guards quickly drew and aimed their bows, but then quickly recognized the travelers and waved them in. “You probably shouldn’t be out in this weather,” bellowed the fatter of the two guards. As they passed through the gates, they saw that the town was blanketed in almost a foot of snow, but it was now tapering off. They could hear the ringing from the bell tower atop the Town Master’s Hall. 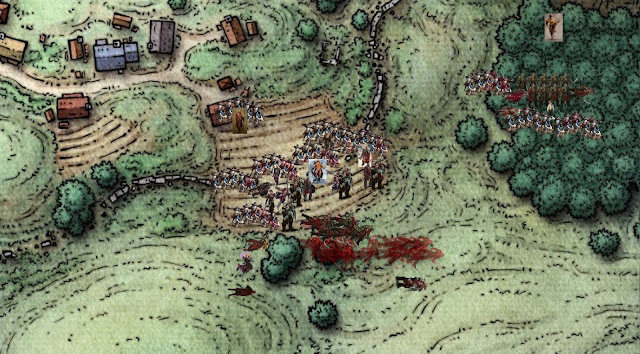 Leaving the bodies of Turenim and Tharden outside, they were ushered inside the Town Master's Hall where Sildar was gathered with the rest of the town’s most influential citizens and experienced defenders. Gundren was overjoyed and grateful at the sight of his brother, Nundro, but it was short lived as they both left to see the body of Tharden. Sildar and Daran were deeply grieved to learn of the death of Turenim. “That one showed real potential and true virtue.” Daran said. They also noted that Sister Garaele had still not returned, and Lebon of The Wolves was the only healer in Phandalin. They learned that the town had prepared a group of around 130 armed commoners. Most of them were farmers, woodcutters, fur traders, and prospectors, but they were used to living on the frontier, and were prepared and able to defend themselves. 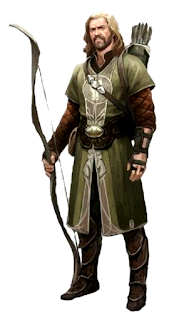 In addition, Sildar had converted 10 former Redbrands into a town militia, using the same name. They normally spent their time guarding, and repairing, the walls, and had only just begun formal training at arms. The rest of the town’s inhabitants, those that were too old, too young, or just not willing or able to fight, would be gathered in the cistern room of the Tresendar Manor cellar. This included Harbin Wester, Toblen Stonehill, Elmar Barthen, Quilline Alderleaf, Linene Graywind, Gundren and Nundro Rockseeker, and Halia Thornton. This would allow them to use the secret door, if they had to, and escape out of the tunnel into the woods. Lee suggested they barricade the main door, and insisted that they bring the bodies of Turenim and Tharden to the cellar as well. Lee made sure that Turenim’s body was secured in what had been Glasstaff’s quarters. With Lee's eagle circling above, they determined that the orc army was making their way up a mountain path crossed farther east and established camp on the flat hilltop overlooking the town. 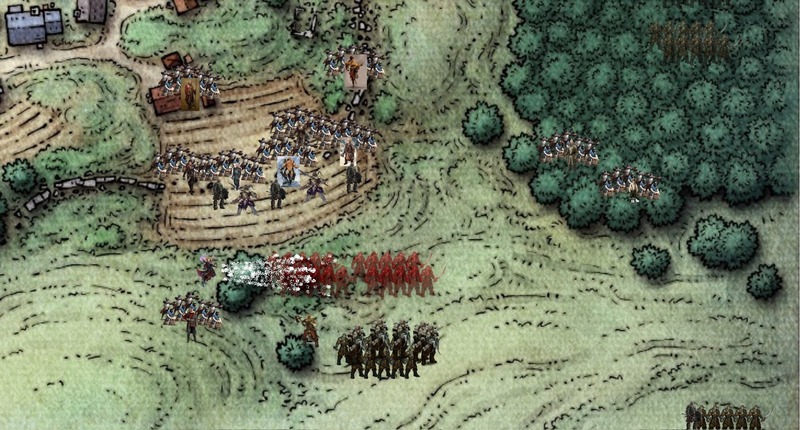 It was taking quite a while for the rear-most orcs to make it to the hilltop. It appeared that the orcs would wait until nightfall to invade. For a few hours, they discussed with Sildar what their defense strategy should be and then they went to bed in the town master’s hall, hoping to catch a substantial rest before taking on the awaiting orc army. 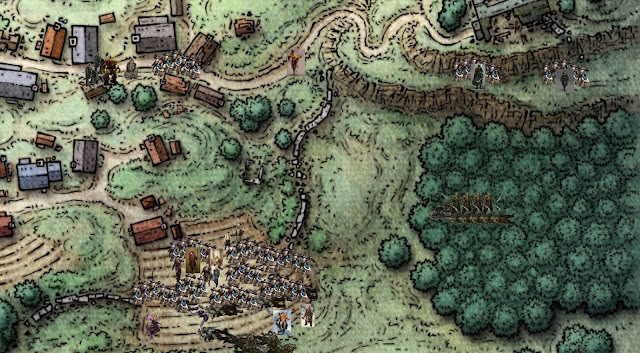 The town’s defenders would be divided up into thirteen units, led by Sildar Hallwinter, Daran Edermath, Amos Ansel, a noble from Waterdeep, The Wolves, Lebon, Larn, Snal and Ariel, and The Lost Minds’, Lee, Pippin, Atilius, Moula, Albrecht, and Julious. Lee and Pippin would keep their units hidden in the southern tree line of the woods. Juilous, Snal, and Ariel would guard the manor from the top of the hill, with Julious positioned to watch over the center of town. 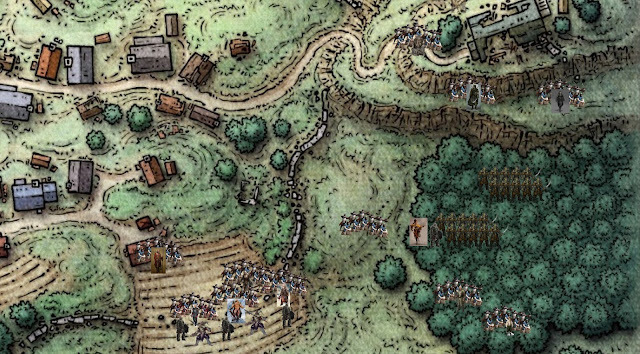 The rest of the units would line up on the town’s southern border, where the orcs appeared to be camped out. 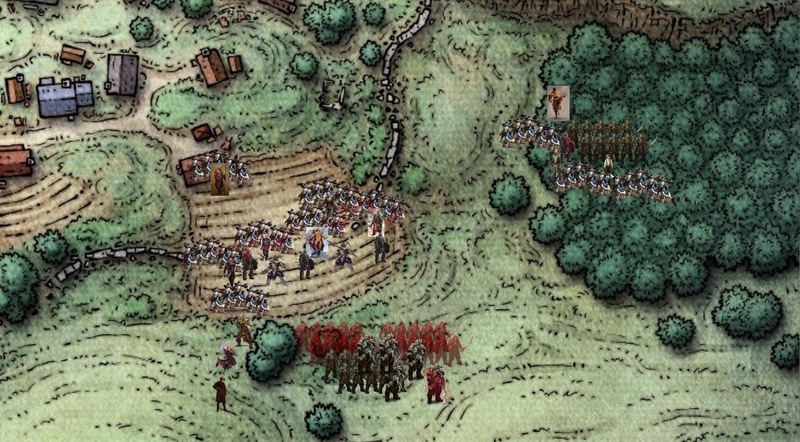 After discussing the orc invasion with the town’s leaders, they went outside to where the combatants were still gathered and Albrecht climbed on top of the Shrine of Luck to address them. "Listen, I do not know personally if all of you will make it. But I do know this: those of you who do not will enjoy yourselves on the fields of Elysium for eternity for the deeds you perform on the battlefield this day. So ask yourselves this: are you truly prepared to give everything you have to defend the lives of everyone in this town? Ask yourselves this: are you truly prepared to face the monstrosities that come from that mountain?" The crowd began to rouse, mumbling "We're ready!" "You're ready!” Albrecht continued. “You will give your lives. You will stand with us!" The crowd was in an uproar, screaming "We're ready!" "Then take up your arms.” Albrecht concluded. “Follow our lead, and we will meet you in the afterlife!" Among the crowd, Lee and Julious overheard some of the combatants talking among themselves. "See, we can do this. Do you still want to leave?" said one. "I guess you're right" the other replied. It was clear that some of the combatants doubts had been assuaged by Albrecht's inspiring speech. After a brief display with town’s defenders, and exhausted from their overnight march, the group decided to rest for the anticipated invasion that night. After their rest, the group returned to meet with the town’s defenders. Atilius spoke to his unit. "It has been a challenging few hours to come to the realization that we have to do this, but you all are very experienced. You all are trustworthy. And I believe you all will defend Phandalin to the last man. And we will win. We will win!" Julious spoke to his unit. "I'm sorry to say this, but I'm very, very confident in you. Again I'm sorry. I'm very, very sorry." As the sun set in the east, its light shone on Phandalin, revealing a beautiful winter wonderland. A large deer with antlers bolted from the trees and ran east to west across the field to the south. Almost immediately, 6 other deer of varying size followed it- a family on the move. Suddenly, the peace was shattered by a terrifying moan from the top of the hill overlooking the town. 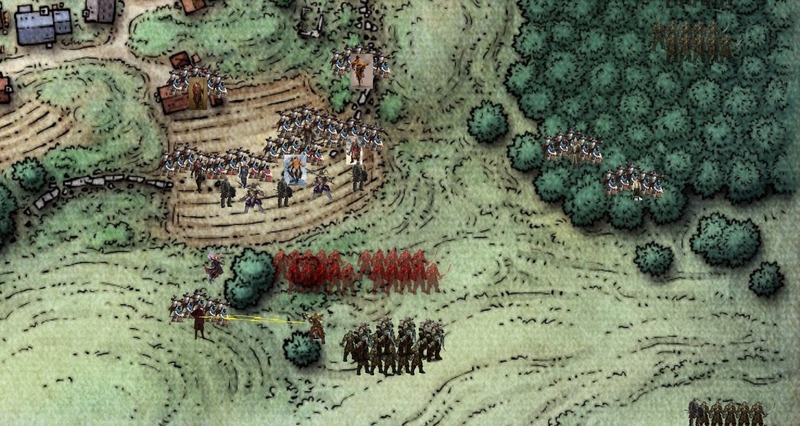 Everyone looked up and saw a lone orc with his arms over his head. He was quickly flanked by dozens more orcs. The chief lowered his hands and bellowed again. The orc horde, including the chief, slowly began the journey down the hill. 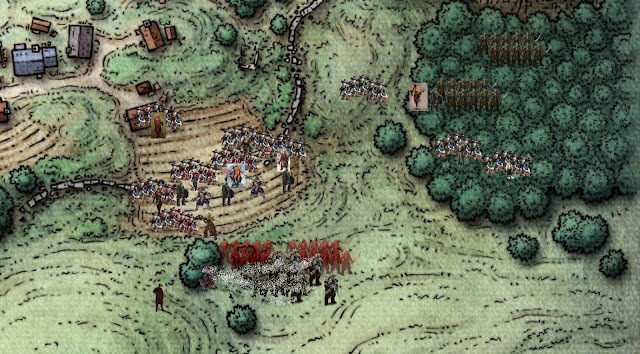 Many of the orcs soon disappeared behind the trees at the base of the hill south of the manor. As the other orcs reached the bottom, everyone saw them form up into stands that spread west 200 feet from the walls of Phandalin. The orcs pointed at the town in unison and let loose a terrifying scream as they rushed to attack Phandalin. As soon as the first unit of orcs, over two dozen strong, were clear of the trees, Phandalin’s archers let loose their first volley of arrows. Atilius threw a fireball into the center of them, dropping four of them, and scorching many more. Suddenly “Cold” Carla, a soft spoken furrier, and long time resident of Phandalin, broke from the defenders’ ranks and screamed “Die!”, unleashing an ice storm on the same unit. Five more orcs fell. Before the orcs could reach the defenders, they were hit by a second onslaught of spells, as well as a volley of arrows. Atilius threw another fireball at the largest group of remaining orcs, and Carla, still screaming at the invading orcs, unleashed a second ice storm on them. The few remaining orcs threw their javelins at the defending line and prepared to engage. A second unit of a dozen orcs and almost half a dozen ogres rushed onto the field and sought cover in the few trees south of the wall, and hurled their javelins at the frontline’s defenders. The onslaught decimated the invading orc’s ranks. By the time they reached the front lines, there were only a handful left, consisting of Orogs and Eyes of Gruumsh. Spotting what looked like the orc leader in the second unit, Amos shouted for his unit to charge. The apparent leader broke away from the slowed ogres around him, and shouted “crack” as he tossed his javelin towards Amos. The javelin turned into a bolt of lightning and left Amos a charred husk. 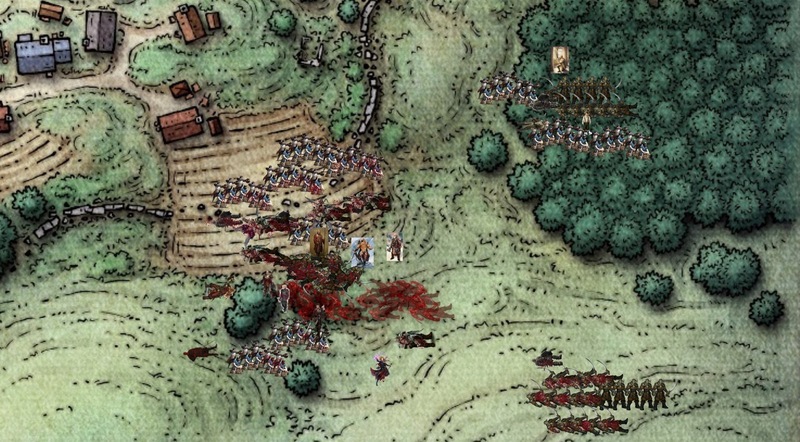 Carla targeted the ogres in a slow spell. While Atilius threw firebolt at the leader of the second unit, Carla hit the ogres with cone of cold. Albrecht engaged an orog, shouting "Your armies will crumble and you will be sent to the deepest depths of hell!" With that Albrecht dealt it a killing blow, only to be retaliated against by another orog. Atilius hit the retaliating orog with witch bolt, dropping it. As the battle on the front line waged on, the defenders gradually eliminated the invaders, but the casualties were great among Phandalin's defenders. Meanwhile Moula heard movement in the woods, behind where Lee and Pippin were hiding with their units. She led her unit into the trees as stealthily as they were able. Almost immediately, she found almost two dozen orcs skulking through the trees, and engaged them. One of the orcs shouted commands, and the orcs split up, with one group engaging Moula and her unit, and the other running towards the tunnel into the Tresandor Manor cellar. Moula swung her staff at the leader, and it blocked many of her swings with its bracers. The large orc retaliated aggressively with its battle axe. Moula screamed to alert Lee and Pippin, and they came running to reinforce her, with their units. Lee struck the leader a brutal blow with Talon. As the unit leader turned its attention to Lee, Moula hit it in the head with her staff. Pippin rushed in and stabbed the leader in the gut, buckling its knees. Lee finished the leader with his next blow. 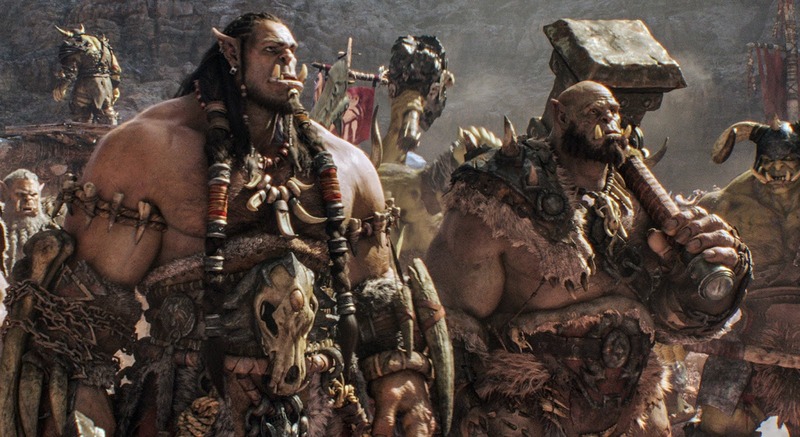 Moula told her unit to follow Lee and called out, "Cover me," as she disengaged from the orcs and, alone, chased the ones who had fled to the tunnel. Pippin and Lee continued their attacks on the rest of the orc skirmishers. Eventually the orcs brought Lee down. When Moula reached the end of the tunnel, four orcs turned to face her, while the rest continued on, into the crevasse chamber. She engaged them, beating them back with her staff, only taking minor wounds in return, but the wounds were adding up. As she was finishing the last of the four orcs, she saw a light from across the crevasse cavern. The light grew brighter until she recognized Turenim walking towards her, with Lightbringer glowing brightly in his hand. She heard Pippin yell from outside, "Lee is down!" "Turenim! You're alive!" She cried. "How? Quick, Lee is down. Go! I'll take care of things in here." With that Turenim ran through the tunnel, Lightbringer's glow trailing behind him. With the last of the orcs in the tunnel down, Moula ran into the crevasse chamber and heard the sounds of fighting coming from the hallway to the cistern room. She leaped across the crevasse and ran into the hallway. At the end of the hallway she saw two orcs fighting to get into the secret door to the cistern room. They were struggling to get over a pile of dead orcs and past whoever was holding them back. She rushed to attack the rear orc and put it down easily with two swings of her staff. She prepared to strike the last one, but it fell before she could swing. Its attacker withdrew two short bloody swords, and Moula saw a woman covered in blood and realized it was Halia Thornton. Behind Halia, Moula saw the many terrified faces of Phandalin's weak. And then the slow realization that came to them as they realized they were not going to die this night. Exhausted, Halia sheathed her blades and fell on Moula, embracing her. The crowd behind them applauded, and cheered, and cried for joy, embracing each other. Turenim exited the tunnel to see a few remaining units struggling to fight off a handful of orc skirmishers while Lee and Pippin lay on the ground, motionless. They opened their eyes and saw Turenim come from the tunnel, with Lighbringer glowing brighter than they ever saw. "Go away!" Turenim shouted at the orcs. "For I have been sent back to heal." The orcs were stunned. Lee and Pippin finished the orcs, while Turenim cast beacon of hope and mass healing word, reviving many of the fallen Phandalin defenders. He left the woods and ran to the battlefield to walk among the fallen. The brightness from Lightbringer dimmed to a torchlight, shining in the night. "I am Turenim of the Morninglord Lathander," He announced. "I am here to heal you all. Bring the dying to me." His beacon of hope revived many and he used his many healing spells to bring more back from the brink of death. He instructed the able bodied to bring him bandages and healing kits, and when his spells were expended he bandaged the wounded. From the woods surrounding the hilltop, a rear unit of 20 more orcs led by an orog entered the field, but Carla had battered them with a cone of cold, and Albrecht led many of the remaining units against them. With only five orcs remaining, Albrecht shouted "Let's cut these insufferable fools' throats and watch their blood fill the rivers with red!" Terrified, the remaining orcs fled. The remaining front line troops began to chase them, with Albrecht in the lead, when Carla destroyed the fleeing orcs with another ice storm. Albrecht looked up and saw orcs looking down at the town from the top of the hill. He gripped his rapier and shouted at them, "Your weak warriors have bled on our steel! You are presented with two options: leave or perish!" Albrecht peered at them and saw that these orcs did not look like warriors, but they did look terrified, and they ran from the hill. Lee and Pippin, with their revived units, joined the main body of defenders, and they reunited with their companions, rejoicing at their victory. Atilius was overwhelmed at the realization that Turenim was miraculously back from the dead. 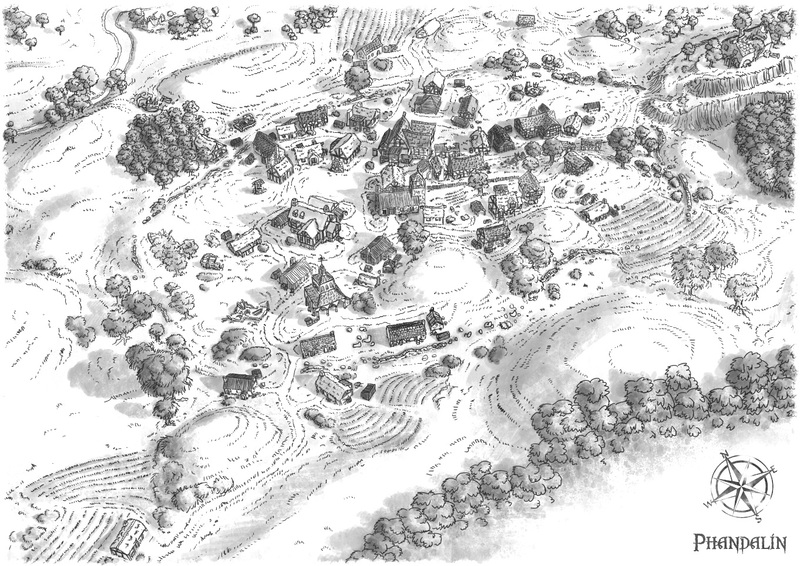 While the battle was being waged in the southeast section of the town, the chief and two orogs circled around to the east, north, and then southwest and entered the town by the main gate on the trail from the north. There they found Laura, a combatant who had abandoned the front lines as soon as the battle commenced, and fled. She had gathered her gear and was headed north to safety when was ambushed by the chief and his bodyguards. Her dying screams echoed through the empty town. Julious heard her scream and took his unit down the hill to the main road. As he made it to the road, he saw that the largest of the orcs carried a flaming weapon. They closed the distance and Julious could see that it was a flaming maul. Julious told his unit to hang back and as soon as he entered range he cast thunderwave. 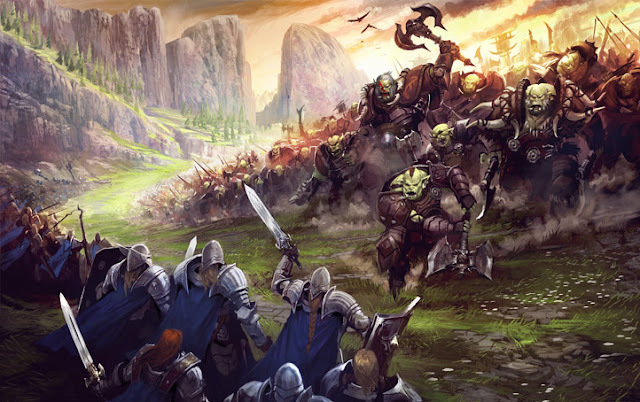 The blast pummeled the three orcs, but only barely slowed their assault. The orc chief dealt a crushing blow to Julious in return. Julious cast poison spray at the chief orc, but it did not seem to have any effect. The orc chief swung his flaming maul again, and this time put Julious down. Moula, ran to face the orc chief, battering him with her staff and avoiding his flaming maul, only to be cut down by his two orog henchmen and the axes. 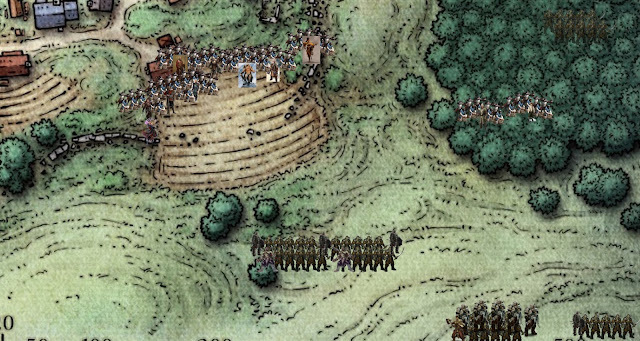 Julious' unit fled to the south and screamed for the other units to join them. Seeing them, Lee, Pippin, Albrecht, Sildar, Daran, Larn, Lebon, and many units charged to the north. Lee was the first to hit the leader, but he went down quickly in return. Pippin stabbed the leader and was mauled in return. Albrecht cast healing word on Lee, reviving him, and stabbed the leader with his rapier. Daran and Sildar engaged one of the orogs and Lebon and Larn engaged the other. Lee got up and slashed the orc chief deeply with Talon. Daran and Sildar, and Lebon and Larn, were finishing the two orogs. Pippin stabbed the chief again. The orc chief brought his flaming maul down directly on Lee's head, crushing him. Albrecht cast healing word on Lee again, reviving the old ranger once more, and stuck his rapier into the orc chief, finally killing the crazed leader. 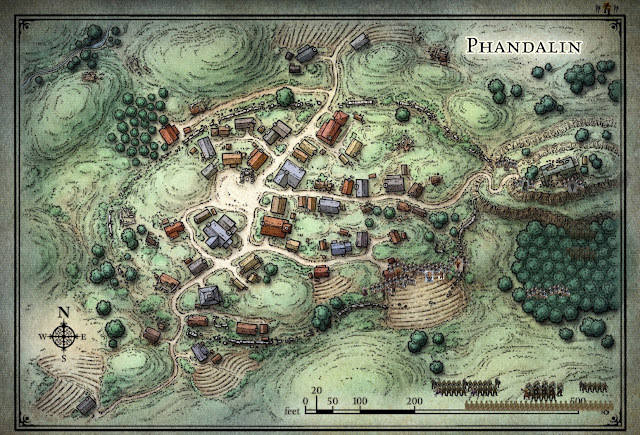 In the end, the townsfolk, with its many heroes, was victorious in defending Phandalin from the invading orc tribe. And while there were still deaths among the defenders, the casualties were drastically diminished by Turemin's divine healing. Phandalin was joyous.